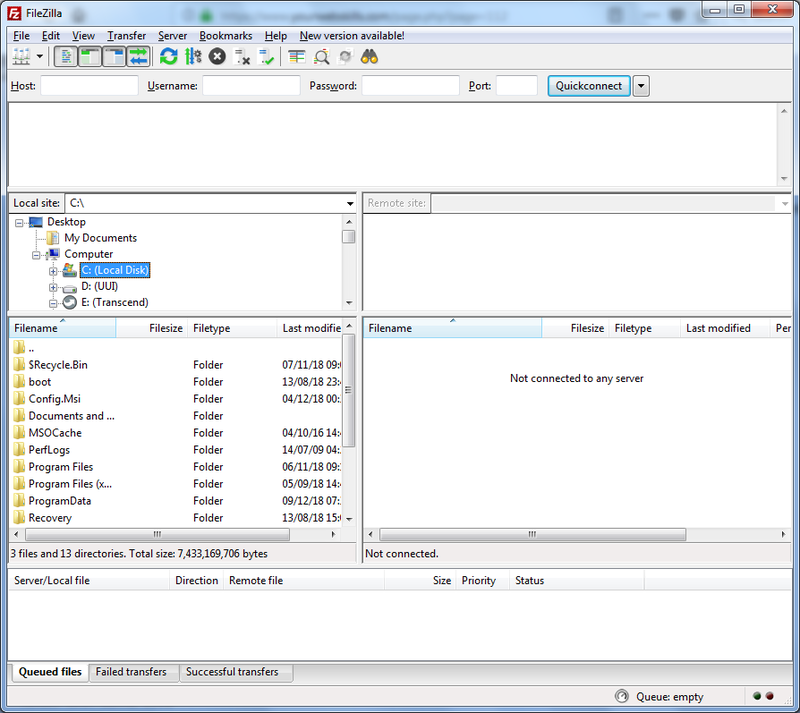 Type the FTP server's log in details and press the Quickconnect button. On the left in the lower part of the window are the files on your local computer (the one you are using). On the right are the files on the server. If the server has been set up properly then the right should show either an empty folder or a folder with some Web pages in. If you see a folder/directory called htdocs or public instead of HTML files you probably need to double click on the folder to go into it. That is where the pages will need to go. Filezilla saves your log on details so next time just use the drop down (next to the Quickconnect button). To upload a file you need to find it on the left, make sure the correct destination is open on the right and double click on the file on the left. You can also select multiple files and right click on them to upload or drag them to the right. If the files exist on the right it will ask you to confirm before they are replaced. You can download the files from the right to the left as well so be careful not to do that by accident. The original version of FTP is not secure. If you are using paid hosting make sure they offer sFTP which encrypts the data before it travels across the Internet.